1. 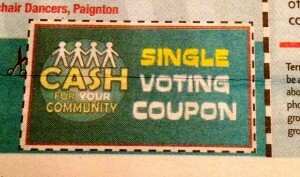 Get the coupon to us by midday tomorrow FRIDAY 22nd and we will post them all off together. 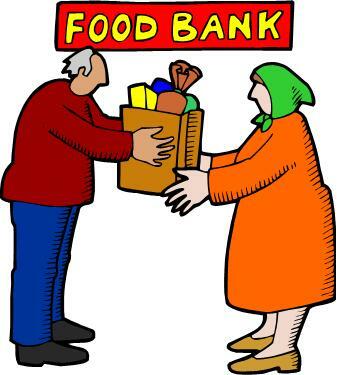 Drop off or post through letterbox at Honiton Town Council office on New St) in an envelope marked FAO Cllr Sharon Pavey. 2. 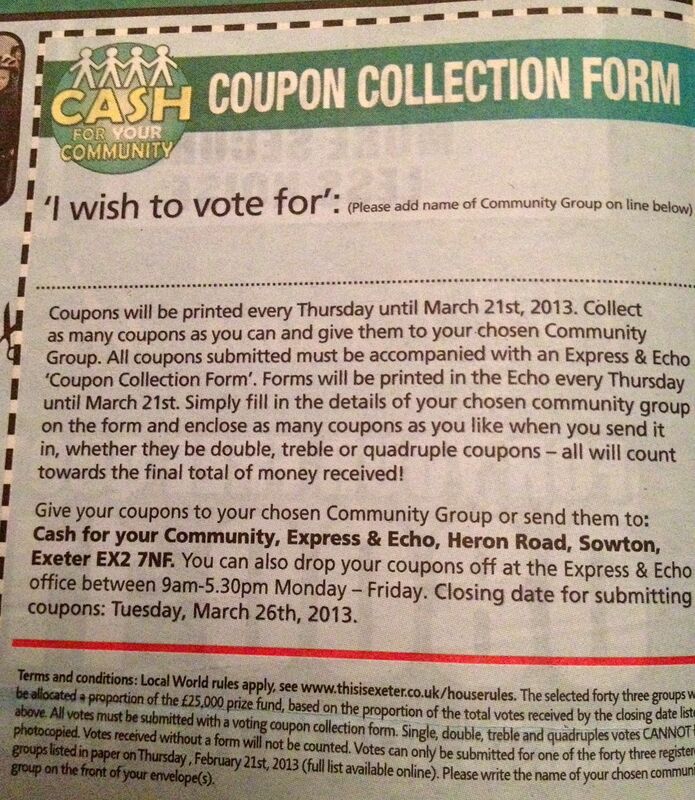 Post the coupon direct to the Express & Echo to arrive there by TUES 26th March. Details in the paper. Let’s not miss this opportunity to boost our fundraising & get our new Honiton Community Centre kitted out in style! Leave us a comment on here if you can help. I asked for the issue of name badges to be discussed at the last Honiton Town Council meeting on Monday 11th March 2013. 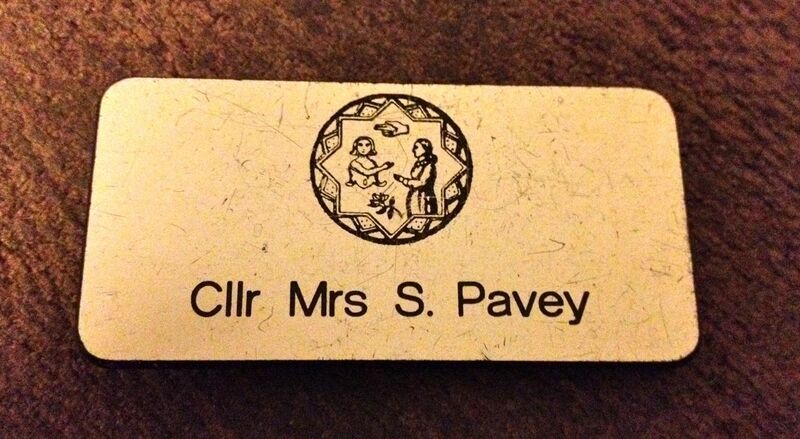 Councillor’s badges have the names of the councillor on them (Eg Cllr F. Jones) and the female councillors have their marital status added to theirs so mine says Cllr Mrs S. Pavey. I think this is an outdated, old fashioned and incredibly sexist practice, and I’m glad to say that after a very short discussion, the council agreed to offer female councillors the option to change their badges and as new female councillors join the council, this practice to be dropped and male and female badges are to be exactly the same ie Cllr M Smith regardless of whether the councillor is male or female. 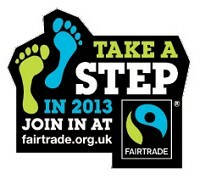 I also requested that we ask the company we get the badges from whether our current badges could be recycled. I’m pleased that Honiton Town Council voted to remove gender specific titles on our name badges. Whether a female councillor is married or not has no bearing on her position as a councillor. This is a small step in the right direction. Bigger steps include seeing equal representation on the council. The current situation sees just six female councillors outnumbered by twelve men and I’m often attending meetings where I’m the only female councillor. Don’t forget you can add your comments too, I’d like to hear your thoughts. Did you know? 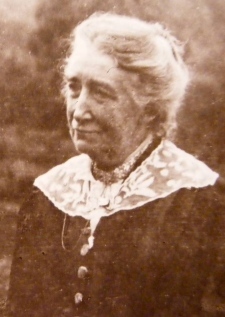 Sidmouth's Annie Leigh Browne founded the Women’s Local Government Society who lobbied for the 1907 “Qualification of Women” Act. This clarified women (ratepayers) were able to be elected to Borough and County Councils. 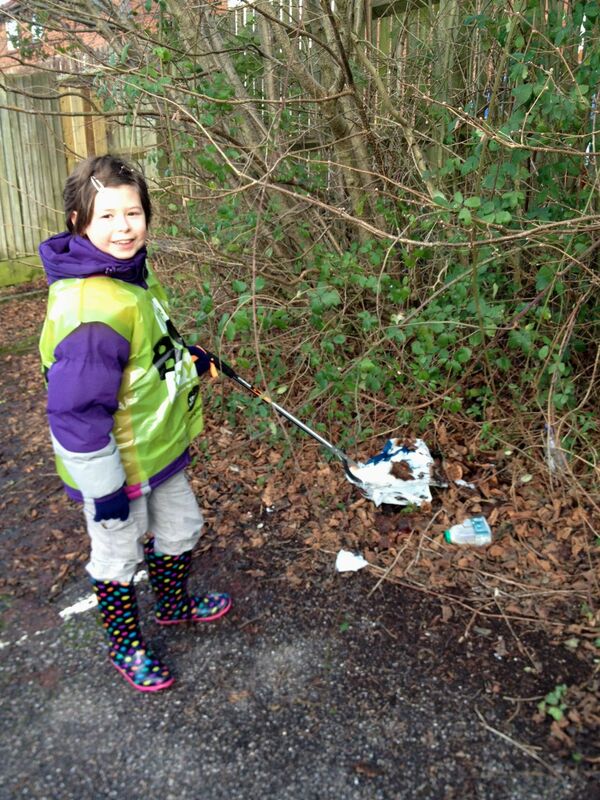 I’m organising a community litter pick in the Honiton St Michael’s ward on Sunday 20th January. 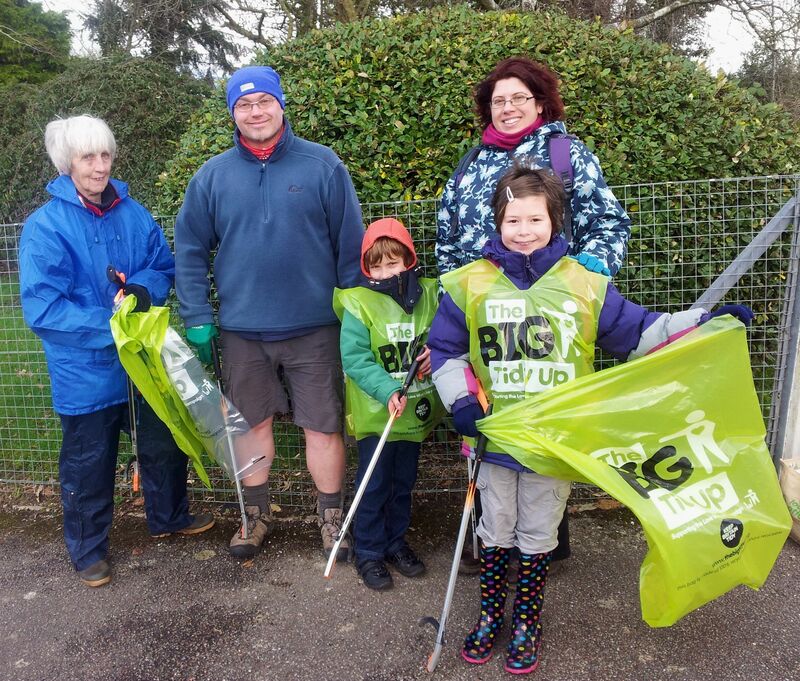 The litter pick is supported by the Keep Britain Tidy Big Tidy Up campaign, Honiton Town Council (where I’m a councillor) and East Devon District Council. 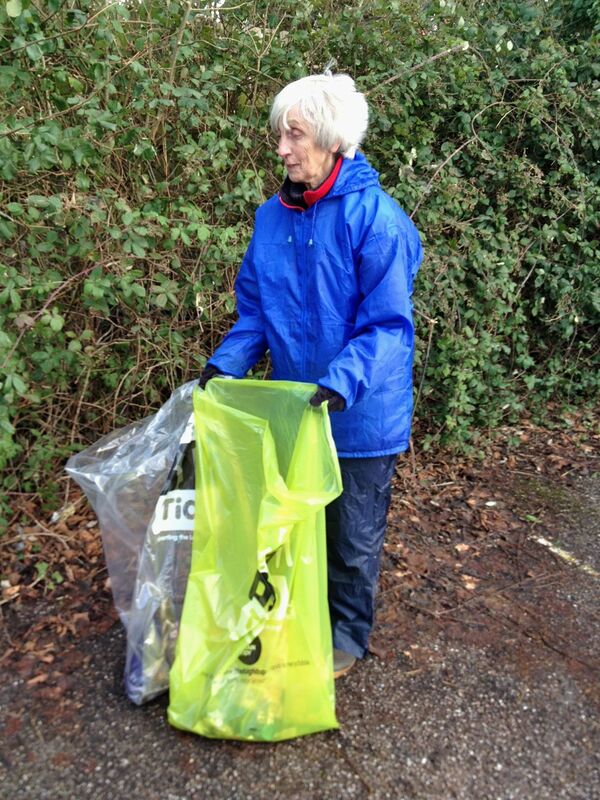 Volunteers will be provided with tabards and rubbish bags. Local residents wanting to help clean up areas in and around Hazelwood Close, Gronau Close, Brand Road, Honiton Bottom Road and Manor Crescent should meet outside Millwater School at 1pm. This clean up will show others that we care about the future of our local environment and that dropping litter is simply not on. I live on Hazelwood Close and walk to town through the little pathways connecting our streets. 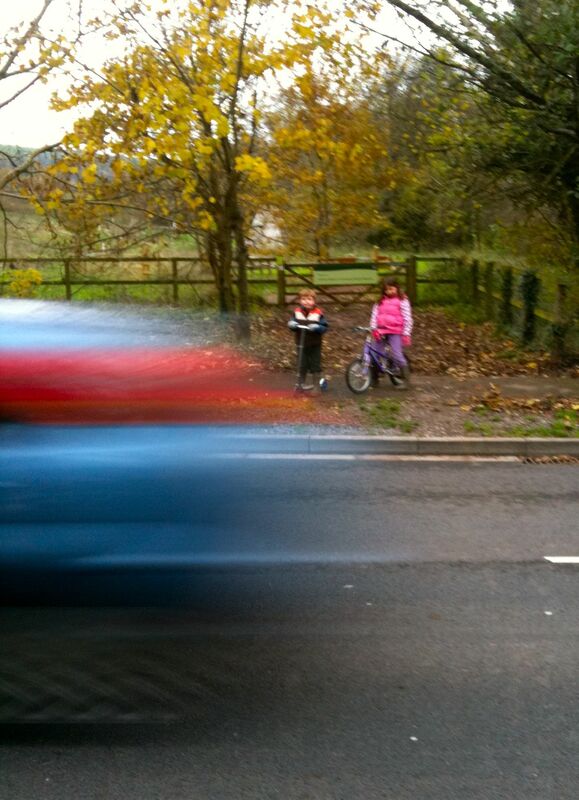 They are often littered with bottles, cans and crisp packets and not pleasant to walk through with my children. 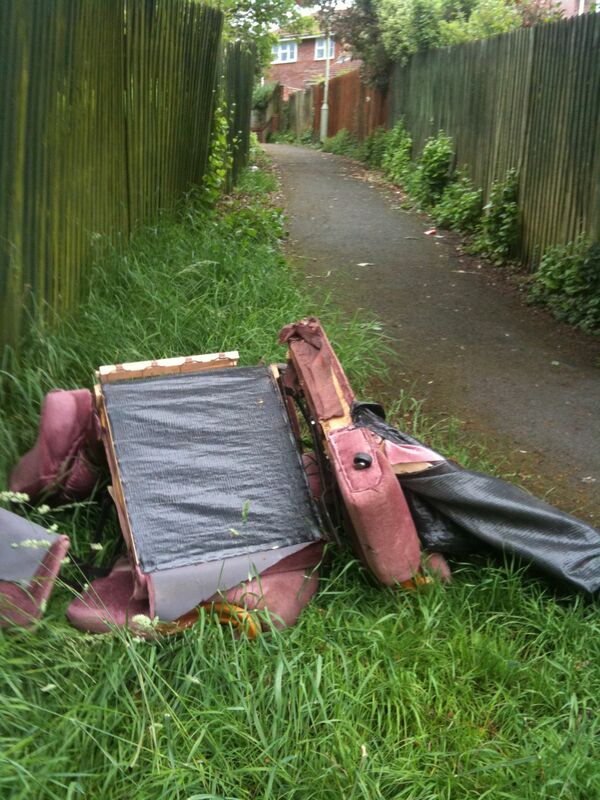 Sometimes people even dump sofas and supermarket trolleys there and I’ve phoned local supermarkets or the council to ask them to collect things which have been fly-tipped near my house. 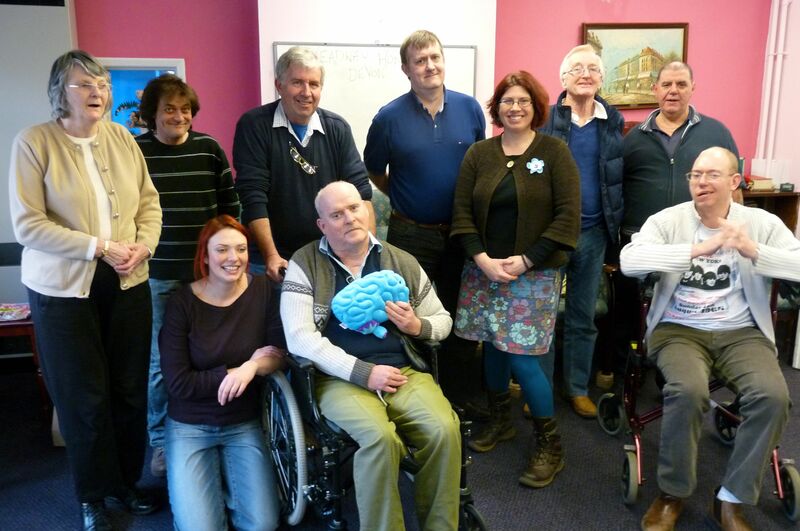 Working together like this creates a sense of community and is a good way to meet your neighbours. Please wrap up well and wear a raincoat, any queries call me on 07447597390. I spent a lovely morning with the Honiton Senior Voice (formerly Senior Council) hearing all about a truly amazing woman – our former Mayor Juanita Maxwell Phillips OBE. 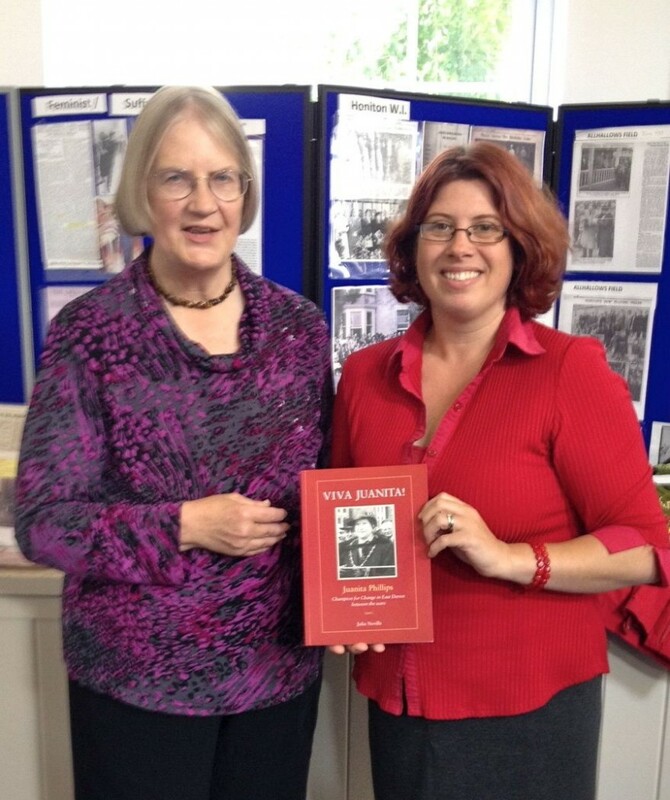 I got a photo taken with Dr Julia Neville (in purple) who wrote the book Viva Juanita which was launched today. I’m really looking forward to reading it myself – when I can find a little spare time! 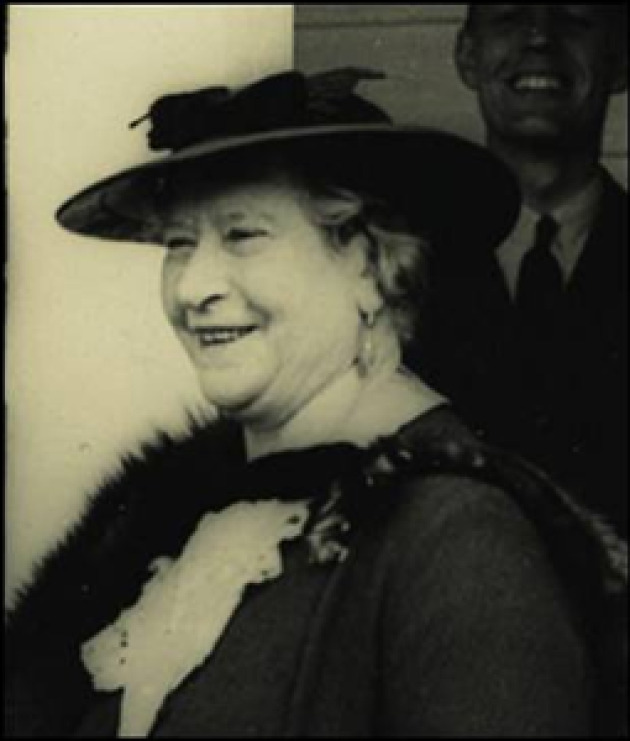 This incredible woman – Juanita Phillips was a suffragette, Mayor of Honiton ELEVEN times, tireless campaigner for women, the poor and disadvantaged AND an actor and theatre producer. She was the FIRST female county councillor in Devon and to be honest…..just the sort of woman I would like to sit down and have a cup of tea with !! Who would have thought such an inspirational woman lived here in my town and everyone should really know more about her. There was a suggestion that we should name one of the rooms after her in the Beehive Community Centre (being built next year) and I think we should have an exhibition about her on in town during the week of International Women’s Day next year (4th-8th March 2013). What do you think, are these good ideas – please add a comment.